Adrian's notes > CentOS > How to determine the VMWare ESX Version from commandline Linux. 1. Ensure you have dmidecode installed. 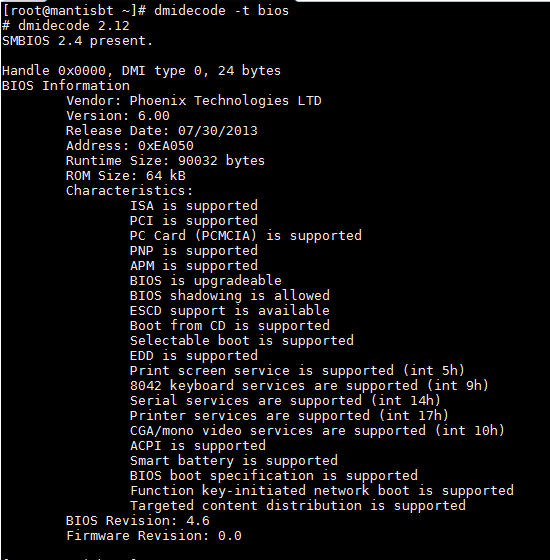 if not install it, for CentOS (yum install dmidecode). 5. so in my case I’m using ESXi 5.5!